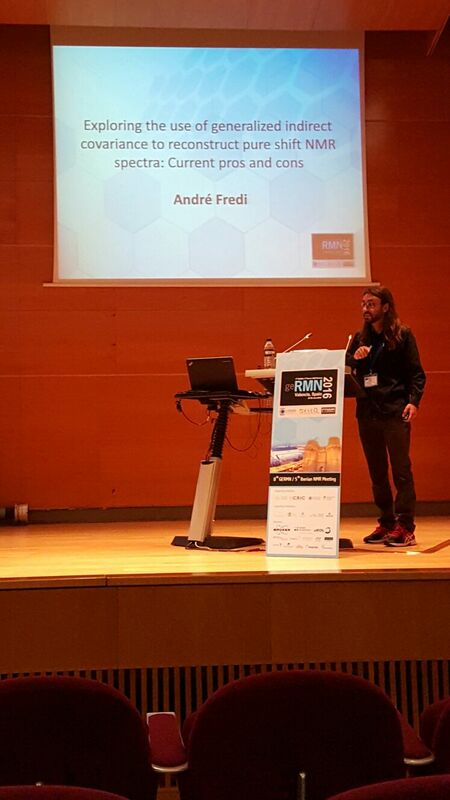 André Fredi (PhD student) and Teodor Parella presented our last research works at the annual meeting of the European magnetic resonance community EUROMAR 2016 Conference that was celebrated on days 3th to 7th July in Aarhus, Denmark. Find below a summary of our contributions. 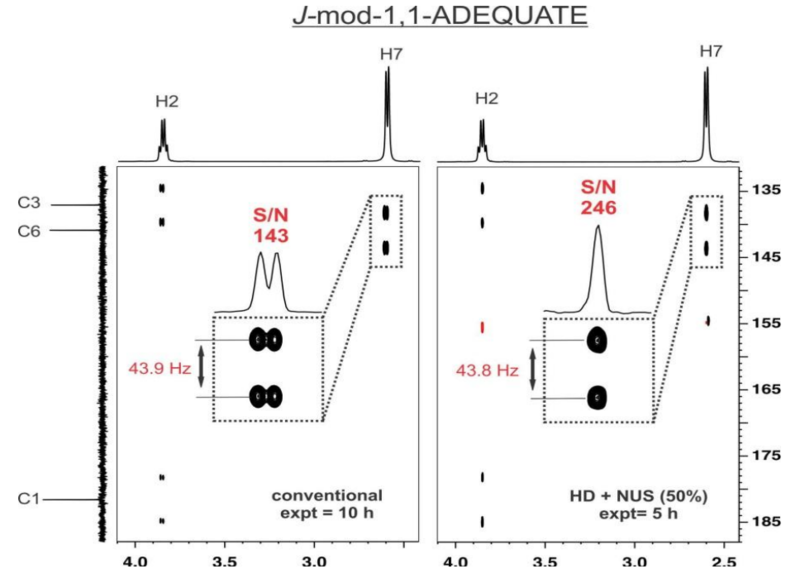 One of them entitled “Selecting the Most Appropriate NMR Experiment to Access Weak and/or Very Long-Range Heteronuclear Correlations” Josep Saurí, Yizhou Liu, Teodor Parella, R. Thomas Williamson and Gary E. Martin. 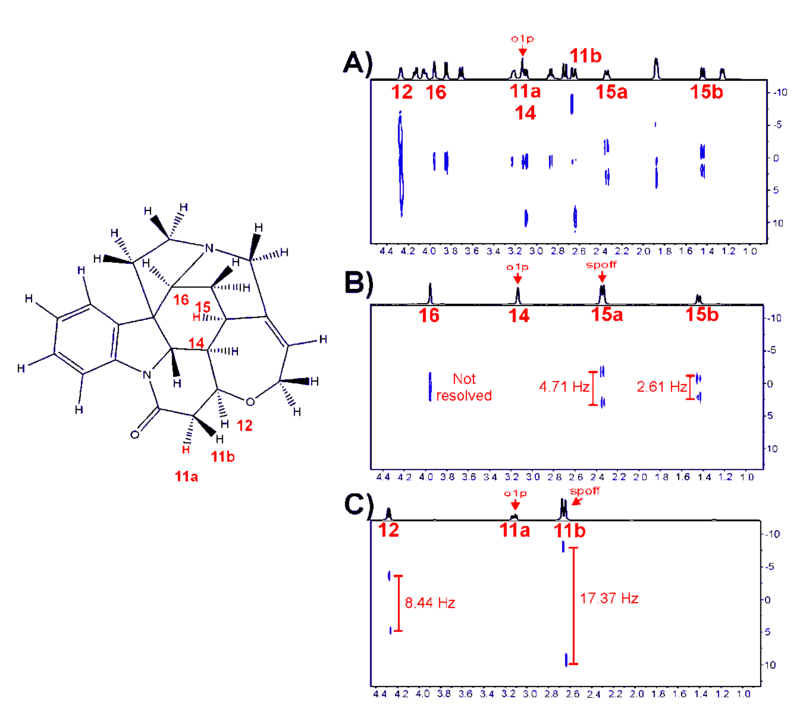 Abstract: Heteronuclear long-range NMR experiments are well established as essential NMR techniques for the structure elucidation of unknown natural products and small molecules. It is generally accepted that the absence of a given n JXH correlation in an HMBC or HSQMBC spectra, would automatically place the proton at least four bonds away from the carbon in question. This assumption can, however, be misleading in the case of a mismatch between the actual coupling constant and the delay used to optimize the experiment, which can lead to structural misassignments. Another scenario arises when an investigator, for whatever reason, needs to have access to very long-range correlations to confirm or refute a structure. In such cases, a conventional HMBC experiment will most likely fail to provide the requisite correlation, regardless of the delay optimization. 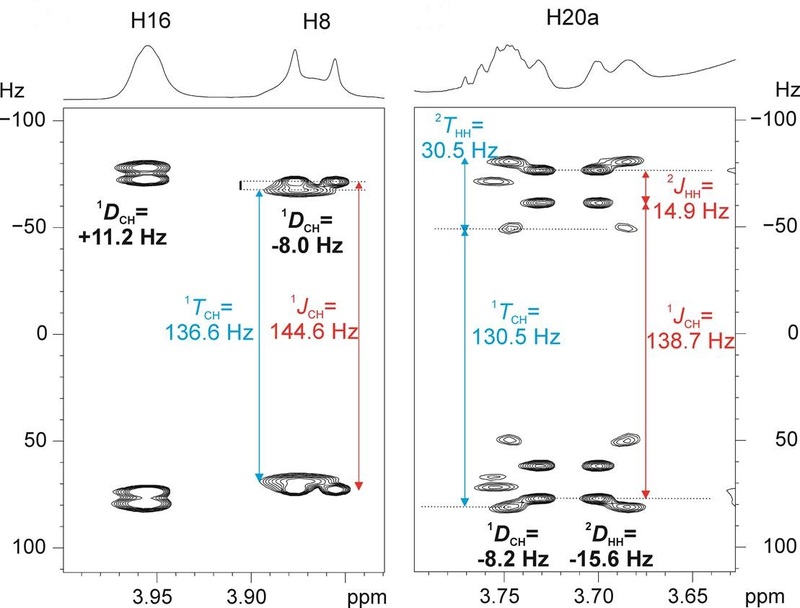 Two recent methods for visualizing extremely weak or very long-range connectivities are the LR-HSQMBC1 and the HSQMBC-TOCSY2 experiments. Although they are intended to provide similar structural information they utilize different transfer mechanisms, which differentiates the experiments making each better suited for specific classes of compounds. 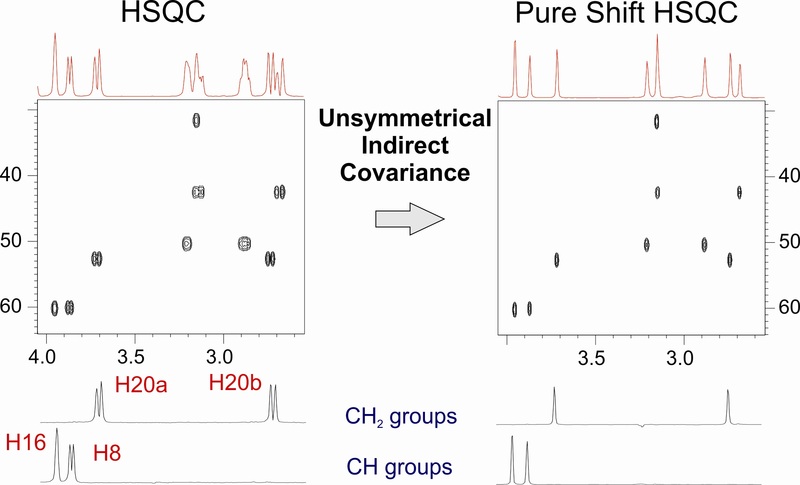 Here we have sought to examine the considerations implicit in choosing the best experiment to access weak or very long-range correlations for different types of molecules. The other poster was titled “Optimizing J-modulated ADEQUATE experiments through homonuclear decoupling (HD) and non-uniform sampling (NUS)” Josep Saurí, Teodor Parella, R. Thomas Williamson and Gary E. Martin. 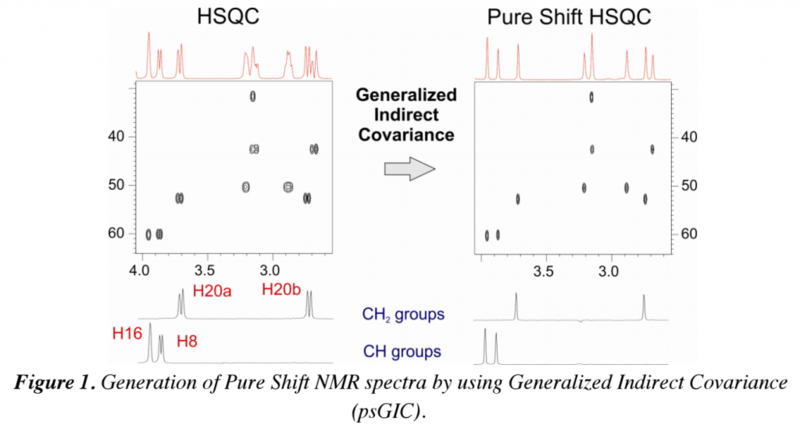 André Fredi also presented a poster entitled “Exploring the use of Generalized Indirect Covariance to reconstruct pure shift NMR spectra” André Fredi, Pau Nolis, Carlos Cobas, Gary E. Martin, Teodor Parella.